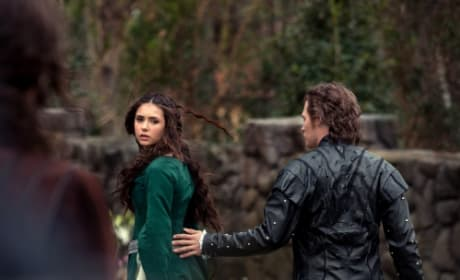 Katherine and Elijah in a scene from the episode "Klaus." The title character will be revealed April 21. 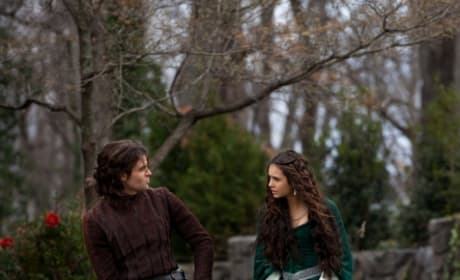 On The Vampire Diaries, most things are. 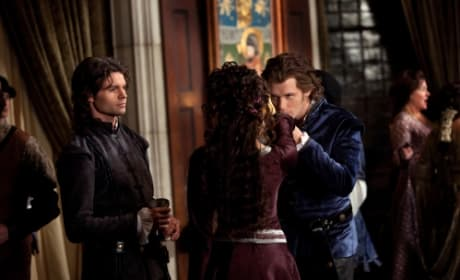 This scene from the April 21, 2011 episode is no exception. 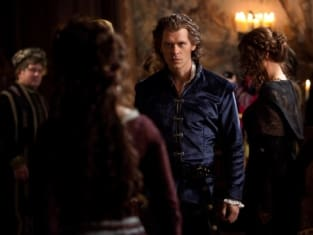 Here's a shot from the episode, "Klaus." This is the aforementioned Klaus, in all his glory. 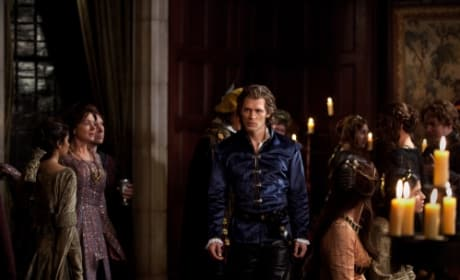 Anything with Klaus involved is rather foreboding, don't you think? How can you not be spooked? 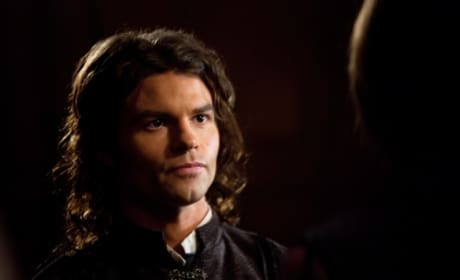 Elijah didn't used to he so clean cut. Just an observation. 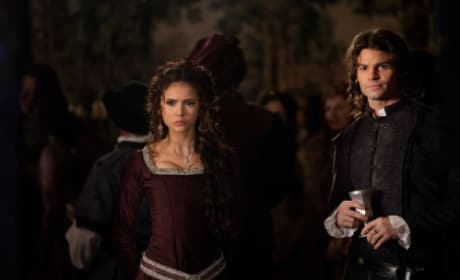 Elijah returns (or appears in a flashback) on The Vampire Diaries April 21. 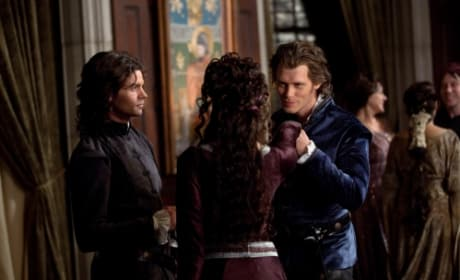 Here's a shot from the episode, "Klaus." 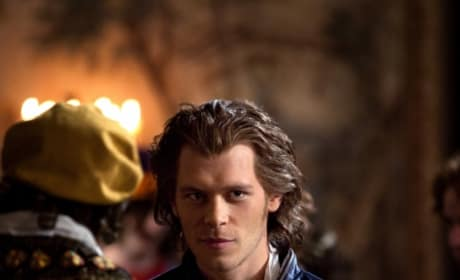 After all this time, Klaus comes to the Vampire Diaries April 21. 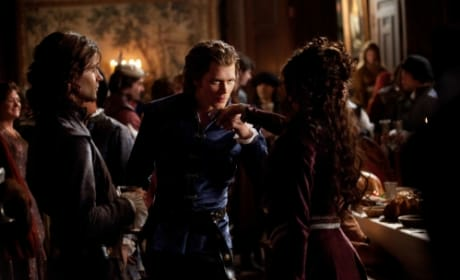 Here's a shot from the episode, titled "Klaus."